Buoyed by voracious requests for DRAM and NAND memory chips for everything - from servers to IoT connected devices - Samsung's semiconductor division alone was responsible for the whopping $7.2 billion in operating income on sales of $15.8 billion. That's about 60% of the total profits made by what analysts are already calling a "memory super cycle," but there was a decent contribution from something that is near and dear to our hearts as well - the mobile department. 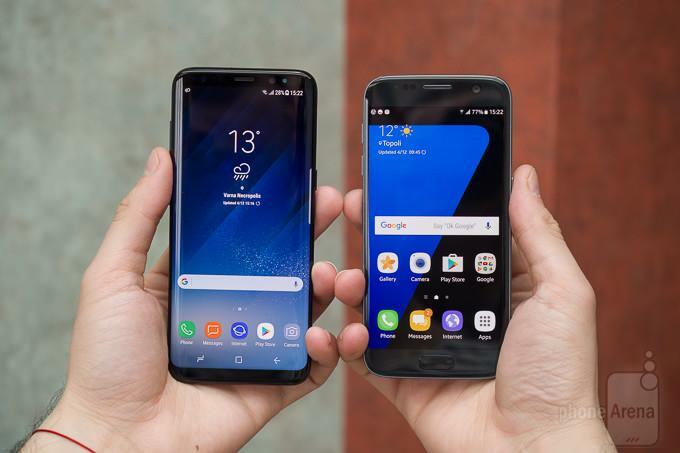 It made Samsung $3.7 billion in operating profit, riding on the coattails of robust Galaxy S8 and S8+ sales that Samsung said are 15% higher than the ones of the S7 last year. Makes me wonder where those "analysts" are who claimed S8 and S8+ sales are lower. half of the $54.8 revenue comes from the mobile division.so i think the s8/s8+ might be a wee bit of a success. samsung also became the worlds largest chip maker in Q2,overtaking intel. Truly amazing, I just saw the article about them being the largest chip maker in Q2. What I like with Samsung Electronics business is how diversified it is, and at this point all the major divisions are making bank, all that investment in R&D is paying off. It's great to see a business who's income is not just focussed in 1 area, but multiple key areas in their industry. These guys are a damn could business case study. An awesome feat for Samsung! I just wish all the other mobile makers make a profit too this year. Samsung and Apple have become too big that competition is getting poor. More like their damn good government setup; Oligarch. (I maybe off on the term but this goes back some 60yrs and with government deals way back allowed them free rain to expand with little competition within Korea - along with trade exceptions with neighbouring countries). All in all great power and it's NOT just the Electronics business but the other 6 main parts of Samsung in the early 30yrs allowed Electronics to thrive today. Remember those few Samsung S60 devices of yesteryear that made BARELY any sales and money? I recall reading a Bloomberg article specifically about the INNOV8 release - their (& world's FIRST) OLED screen in production and shipping for retail sale. The article noted just how important that OLED would become!! The INNOV8 used a regular TFT, I remember it as I wanted it but it never made it down here. Nokia N85 was the first phone with AMOLED Display, AFAIK. You are thinking of the Samsung I7110 which was announced just after N85 in late 2008.